Graham Farish N Gauge Cumbrian Mountain Express Locomotive Train Pack. Graham Farish N Gauge Diesel Freight Train Set. Includes Oval Of Track Controller Diesel Loco Four Wagons And Brake Car Box Slight Repair To Track Power Cables But Works Fine. Contents All In Good Condition. Graham Farish N Gauge HST Intercity Locomotive Train Pack. 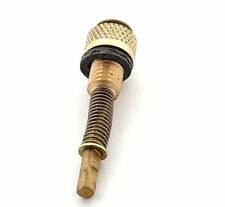 Good Working Order. Graham Farish N Gauge Includes Loco Coach And Dummy Power Car. 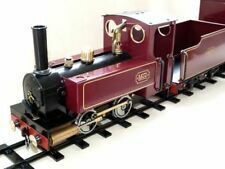 3" 1/2” 3.5 Gauge Steam Locomotive (JULIET) 040 tank loco. Condition is used good. 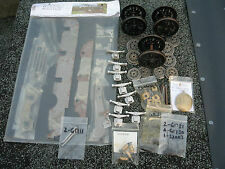 Here for sale is a collection of 4mm scale locomotive and tender wheel castings, possibly by Bonds o' Euston Road. Various diameters - but enough of each size to be useful! 40 castings in the box, the machining of some has been started. Mamod Train Set As new Minimal Use age Very Good Condition Includes Loco. Log Truck. Wagon. And Oval Of Track. Box Has A Few Light Water Marks Engine Has Been Fired But Not Used Much At All. Complete Set But No Actual fuel. Graham Farish N Gauge The Steel Worker Train Set. Graham Farish N Gauge Steel Worker Train Set. Includes Oval Of Track Controller. Diesel Shunter Three Wagons Contents All In Good Condition. Graham Farish N Gauge Royal Mail Train Set. Graham Farish N Gauge Diesel Freight Train Set. Graham Farish N Gauge Diesel Freight Train Set. Includes Oval Of Track Controller Diesel Loco Four Wagons And Brake Car. Contents As New Good Condition.